The new pact between BHGE and Adnoc Drilling’s parent company – Abu Dhabi National Oil Company – seeks to create a fully-integrated drilling and well construction provider. The transaction values Adnoc Drilling at approximately $11bn, including about $1bn of net debt. BHGE will be the sole provider of certain equipment and technologies related to the integrated drilling offering, supporting Adnoc Drilling’s growth. Adnoc and BHGE will deliver more competitive well completion times, greater drilling efficiencies and better well economics, and will capitalize on new business opportunities. It is the first time that Adnoc has brought an international strategic partner to acquire a direct equity stake in one of its existing services businesses. Adnoc Drilling is the largest drilling company in the Middle East and the sole provider of drilling rigs and associated services to Adnoc Group companies. Adnoc Drilling’s fleet includes 60 land rigs, 20 jackup rigs, and 11 island rigs. Sultan Ahmed Al Jaber, UAE Minister of State and Adnoc Group CEO, said: “We are very pleased to be partnering with BHGE in Adnoc Drilling, in line with our wise leadership’s guidance to create and enhance value across our business by forming strategic partnerships. “We chose BHGE after a rigorous and competitive process as a partner with whom we have a long-standing working relationship and who shares Adnoc’s long term vision and values. “This unique partnership with BHGE comes at an important time in the drilling needs of Abu Dhabi as Adnoc grows its conventional and unconventional hydrocarbon resources and as we see future potential for further regional growth. 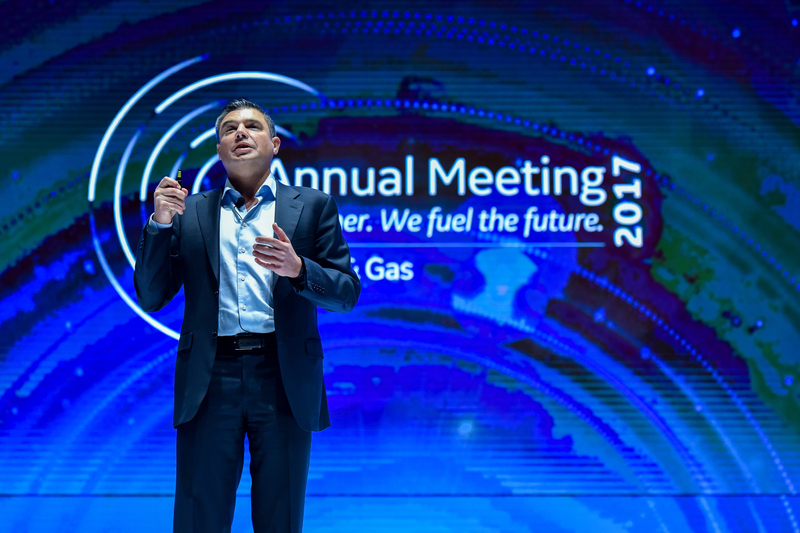 BHGE CEO Lorenzo Simonelli said: “This partnership brings together BHGE and Adnoc, backed by a close and long working relationship. We are very pleased to take a minority stake in Adnoc Drilling to jointly develop and further grow the company’s technical capabilities, market access and value. “In a unique way, it allows us to drive predictable revenue streams and long-term growth for both companies and lets us invest in a stable, reliable and secure market environment. “Supported by BHGE’s leading technology and service portfolio, Adnoc Drilling will enable Adnoc to unlock significant value from their untapped resources, while building local capabilities and accelerating overall market growth.